I write every day. Sometimes I even blog. Along with the butterflies and the bees and the birds, there’s a syrphid fly I’ve been chasing. A bee mimic, to be precise. Mostly likely Eristalis tenax, to be even more precise. It’s the kind of fly that looks just like a bee but it doesn’t exactly act like a bee. 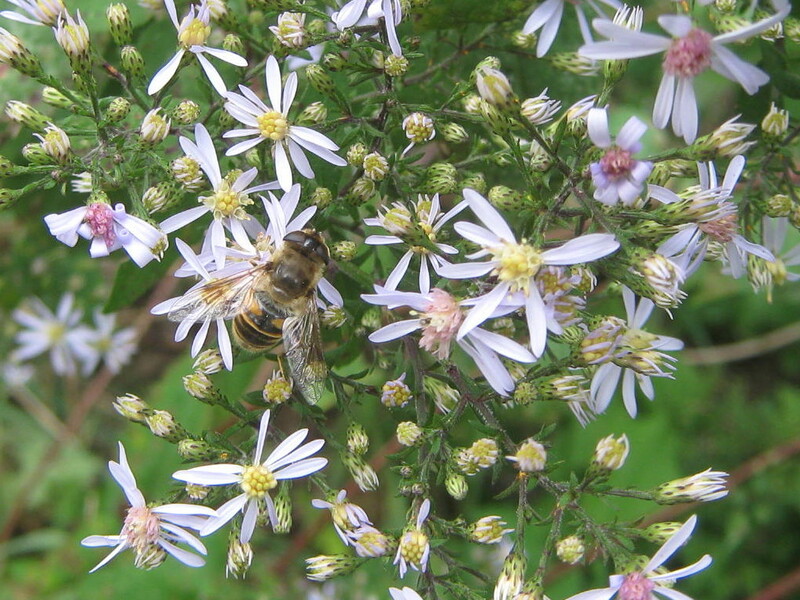 Bees methodically go from flower to flower. This fly would land and just pump its belly breathing. When you come in for a closer look, bees ignore you. This fly panics and flies away. And when you finally get a real picture, no way does that look like a bee! Caught you! Sneaky bee fly. NextWhy do I put off the simple things?